SUVs represent macho. And the ones that are priced over 50 lakh rupees bring big luxury to the table. Enter the luxury SUV. Movie stars in India are a lot who live life large, but Indian conditions mean that the roads they drive or are driven on are far from perfect. So, the luxury SUV offers movie stars the perfect balance between great street presence, luxury and everyday usability. It’s only natural that luxury SUVs are big in India, with movie stars taking to them like bees to honey. Today, we’ll round up South Indian movie stars and their SUVs. Mammootty is a mega star in Kerala, and one who loves flashy sets of wheels. The movie actor owns a range of high end sedans and SUVs. His favourite is said to be the Toyota Land Cruiser, a butch, 7 seat luxury SUV that’s extremely reliable. The man also owns two other SUVs, a Mitsubishi Pajero Sport and the Toyota Fortuner. Here’s a full list of Mamootty’s cars. In Kamal Hassan’s case, it’s like-daughter-like-father. 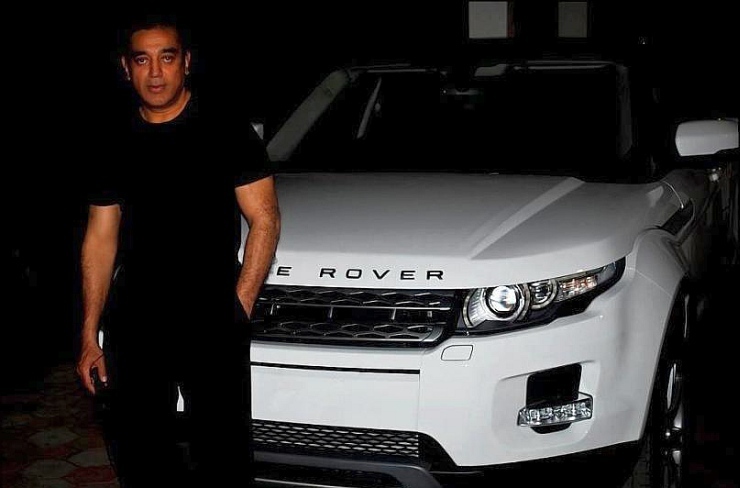 Like his daughter Shruti, Kamal Hassan owns a Range Rover Evoque. The Evoque is a 5 seat luxury crossover that’s a best seller for Land Rover around the globe. Apart from the Evoque, Kamal Hassan also owns a Hummer H2. 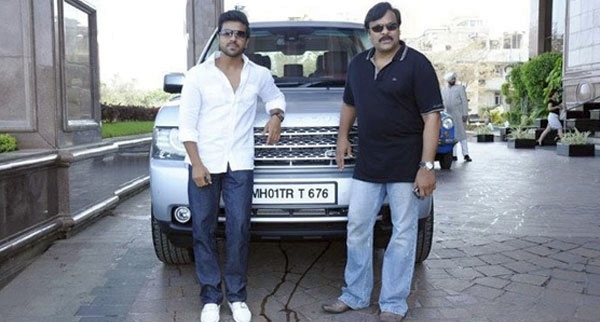 Chiranjeevi, an A-List movie star from the Telugu film industry owns a Toyota Land Cruiser. His son Ram Charan Teja gifted him a Range Rover Vogue for this 60th birthday. There are many more SUVs in this movie star’s fleet. Here’s the lowdown. Surya loves Audis. 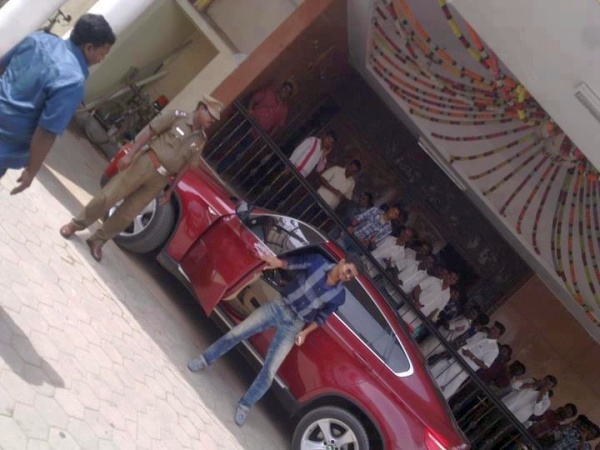 Apart from the A8 L luxury saloon, the South Indian movie star also owns the Q7. Now, the Q7 luxury crossover that seats seven is one of the most popular SUV across the movie industry, with competition coming from perhaps only the Toyota Land Cruiser. 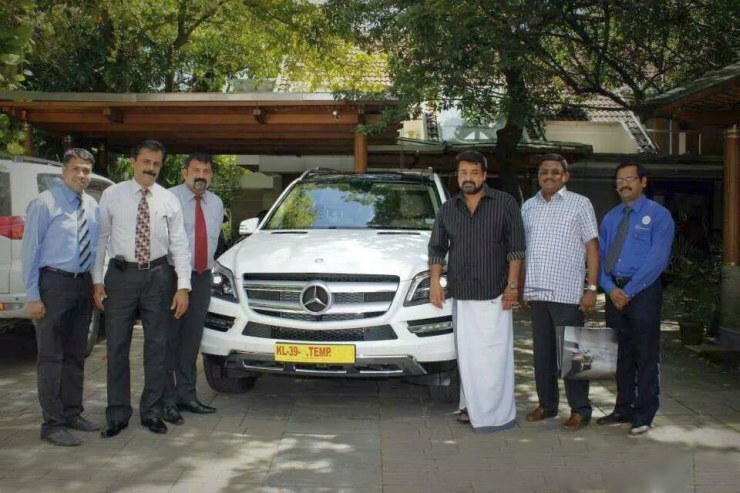 Malayalam industry’s megastar Mohanlal owns a Mercedes Benz GL-Class, which is dubbed the S-Class among SUVs. The GL-Class SUV seats seven and is one of the largest in its class. The one that Mohanlal owns is powered by a 3 liter V6 turbo diesel engine. 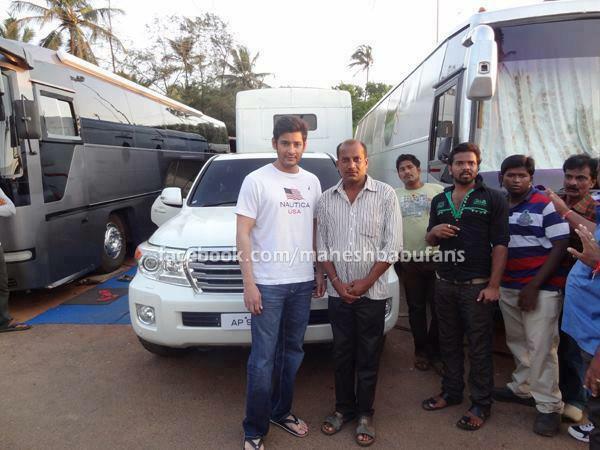 Mahesh Babu is another A-List star in the Telugu film industry who swears by his Toyota Land Cruiser. The Land Cruiser features a 4.5 liter V8 turbo diesel engine that makes 262 Bhp of peak power and 560 Nm of peak torque. A four wheel drive layout is standard, and so is a 6 speed automatic transmission. 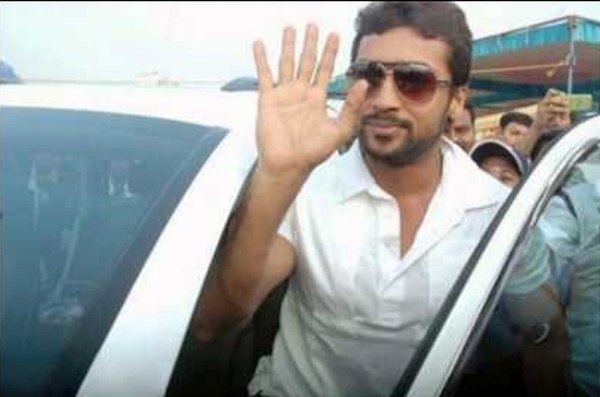 Surya’s contemporary Vijay, and another huge star in Kollywood (the Tamil film industry) is a BMW fan. The man owns a BMW X5, and an X6. While the X5 is a proper luxury SUV that can get down and dirty when needed, the X6 is a sporty crossover that’s more at home carving corners than mud plugging. Vijay also owns a Nissan X-Trail. 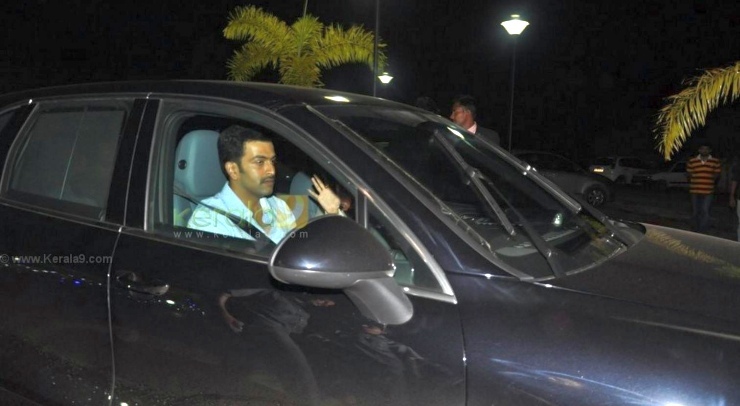 Prithviraj, one of the younger superstars in the Malayalam movie industry, is known for his penchant for fast cars. He’s got a couple of SUVs too, in the form of the Porsche Cayenne and the Audi Q7. Want to know what other stars from Mollywood drive? Here’s more. Junior NTR belongs to the Telugu moviedom. Named thus after his illustrious grandfather and mega star of his time, N.T. Rama Rao, Junior NTR is one of the most bankable stars in the Telugu industry. The actor drives a previous generation Range River Vogue. He’s got many more luxury cars though. You can read all about them here. Puneet Rajkumar is the solitary Kannada movie star in our list not because the stars from Sandalwood don’t have SUVs. It’s because there aren’t good images of these movie stars with their butch rides. 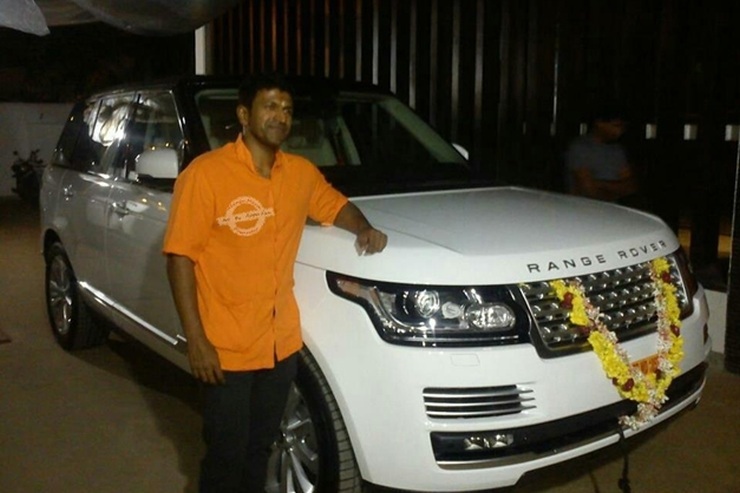 Puneet Rajkumar is different though, what with the actor pictured frequently with his Range Rover Autobiography luxury SUV. Cars with the best build quality: Buy today, keep forever!